Boston Celtics legend Paul Pierce paid rookie Jayson Tatum some major compliments Thursday. "When I came out, I was a 21-year-old. He was 19 for most of this season. I know that doesn't sound like a lot, but a year-and-a-half, two years, that's a lot of developmental time. I had three years of college [at Kansas] to develop. He had one year [at Duke], and he's already doing this. He's a superstar in the making. You can compare a kid like that to me anytime you want." Tatum is among the finalists for the Rookie of the Year award after averaging 13.9 points, 5.0 rebounds and 1.6 assists per game while shooting 47.5 percent from the field and 43.4 percent from three. "I see a lot of things Jayson does—how he creates space, gets to the hole deceptively, the way he knocks down shots. He's a real shot-maker; he can get his shot off on anybody. He's smart. He uses his body well, the way he pushes off with his shoulder to get an open shot. He has a lot of craftiness to his game, and that probably reminds a lot of people of me. "I see it, I definitely do. I wasn't the most athletic guy. Tatum is a lot more athletic than I was. He can use either hand. Once he gets a little stronger in the near future, look out. I mean, he's obviously smart beyond his years." Tatum has been a key figure in Boston's run to the Eastern Conference Finals without superstar guard Kyrie Irving or All-Star forward Gordon Hayward. The rookie is averaging 18.1 points, 4.5 rebounds and 3.1 assist per game in the postseason, as the Celtics are now just two wins away from the NBA Finals with a 2-0 series lead over the Cleveland Cavaliers to their credit. Boston traded down from No. 1 to No. 3 in the 2018 NBA draft and allowed Markelle Fultzand Lonzo Ball to come off the board before taking Tatum. 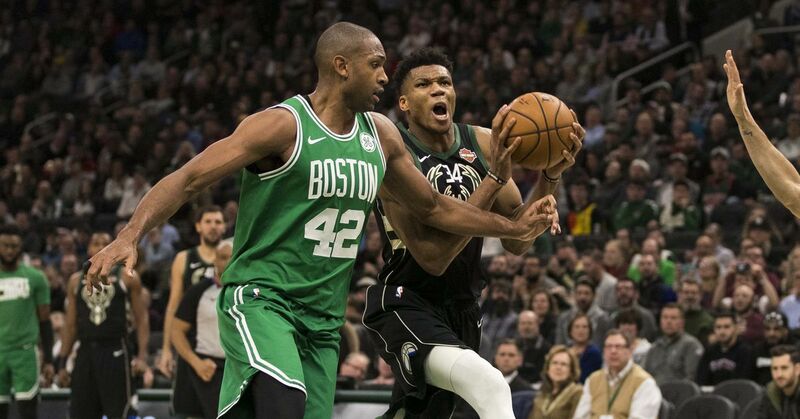 Early returns suggest the Celtics may have made the right choice. While Tatum is oozing with potential, he has a long way to go before matching Pierce's resume, which includes 10 All-Star nods, an NBA championship and an NBA Finals MVP.